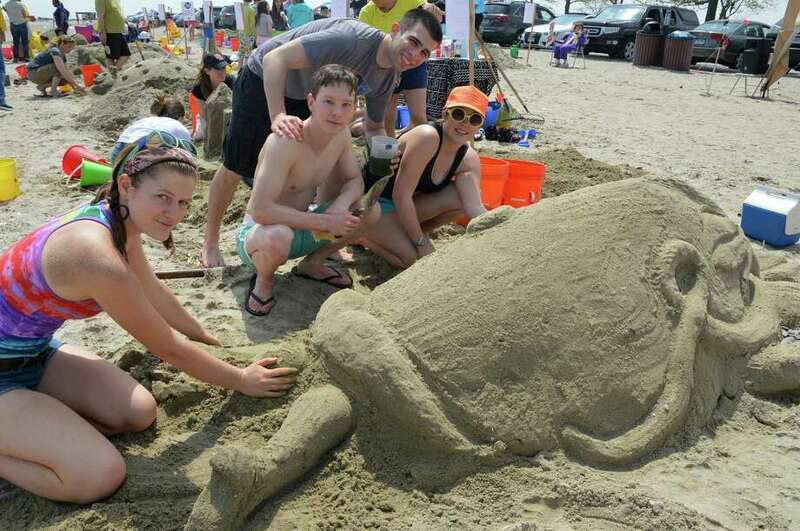 The 14th annual "Castles in the Sand" sandcastle-building competition is planned May 9 at Compo Beach. The event, organized by Homes with Hope and Builders Beyond Borders, will take place from noon to 4 p.m.
Prizes will be awarded to top sculptors by event judges in several categories. Those registering by May 7 for a 10-by-10-foot "Big Lot" for their sandcastle will receive two free t-shirts for a fee of $100, while those registering for a 20-by-20-foot "Really Big Lot" for $300 will get four free shirts. Each participant will receive complimentary water and ice cream from Joey's by the Shore. There also is not charge for parking at the beach for participants in the event. Homes with Hope is an agency that addresses issues of homelessness and hunger in Westport. For more information, visit www.hwhct.org. Builders Beyond Borders works here and abroad to promote youth leadership and volunteerism. Visit www.buildersbeyondborders.org to learn more. To sign up, call 203-226-3426 or visit www.hwhct.org.